Valleys normally have up-valley winds from one to four hours after sunrise to about one hour before sunset. skies, persist until one to two hours after sunrise. breezes normally occur during the day and land breezes at night. Figure 6. 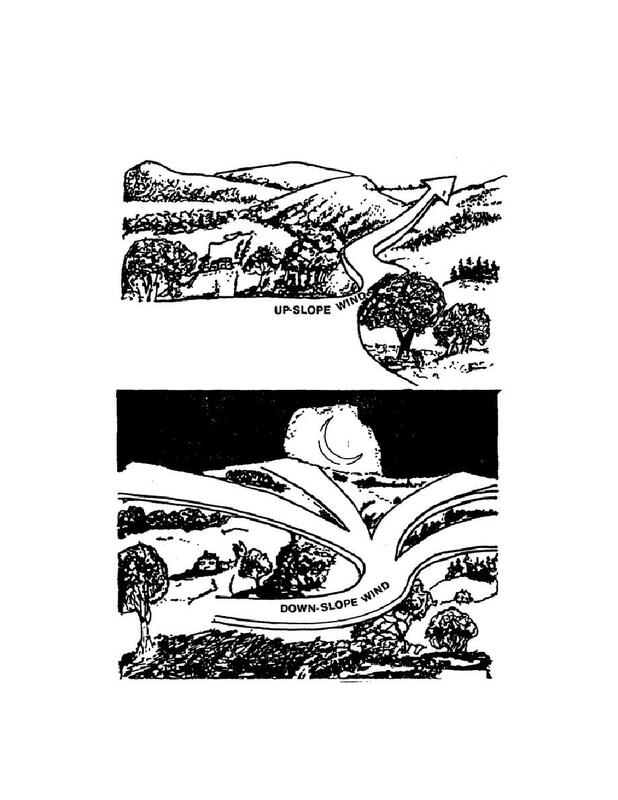 Up-slope and down-slope winds.